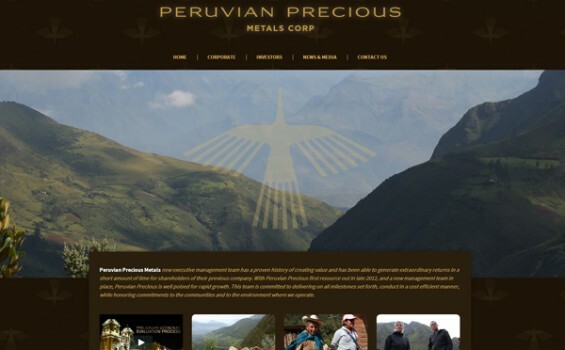 Precious Metals: IWD works with Peruvian Mine to iron out their online presence! IWD had the opportunity to work with Peruvian Precious Metals to design, develop, and launch their new website. Created as a main communication portal for investors and other stakeholders, the website serves to educate and promote the activities of their mine in Peru. For this customer, an informative and easy-to-navigate website best suited their purposes. For the aesthetic design, earth tones were used to balance with the beautiful background imagery of Peru. IWD was retained to provide on-going website maintenance and support.